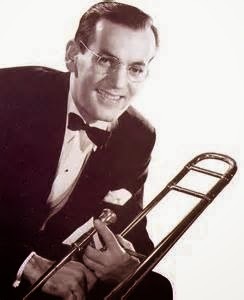 On Monday, December 15th, it will be 70 years since Big Band musician and bandleader Glenn Miller disappeared. Miller led one of the most popular Big Bands of the 1930s and 40s. 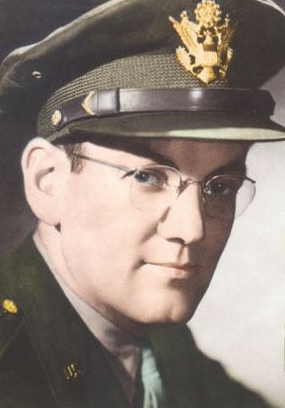 Alton Glenn Miller was born on March 01, 1904 to Lewis Elmer Miller and Mattie Lou (Cavender) in Clarinda, Iowa. When his family moved to Missouri in 1915, he purchased his first trombone and played in the town’s orchestra. In 1918, his family moved to Fort Morgan, Colorado and Miller became enamored with a new music style known as dance band music. When he graduated in 1921, he had decided that he wanted to be a professional musician. Miller’s first gig was with Boyd Senter’s Orchestra. 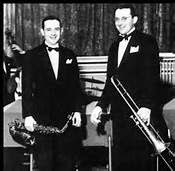 He then moved on to the Ben Pollack Band before heading to New York where he became the musical director for the Dorsey Brother’s Band. By 1935 Miller was recording under his own name. He formed several dance bands during the late 1930s, but he finally found the right mix in 1939. Besides being a musician and bandleader, Glenn Miller was also a composer. His song “Moonlight Serenade” climbed to the top of the charts in 1939 followed by “Tuxedo Junction,” Pennsylvania 6-5000” and “In the Mood” in 1940. The Glenn Miller Band had become one of the hottest Big Bands in the nation. 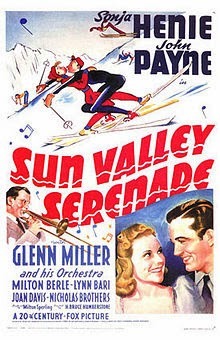 In 1941, Miller and his band began appearing in Hollywood films; their first movie was Sun Valley Serenade. 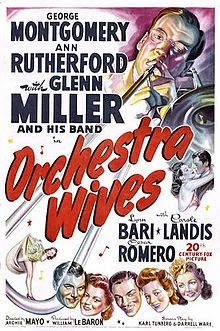 The next year they appeared in the film, Orchestra Wives. But America entered WWII in 1941 and Miller put his band career on hold in order to serve his country. Although at 38, he was too old to be drafted, Miller volunteered and requested that he “be put in charge of a modernized Army band.” Miller’s offer was accepted and he began selecting the 45-members that would make up the U.S. Army Air Force Band. Their mission would be to entertain the troops and keep morale up. The band was a hit both in the U.S. and overseas. The Army Air Force Band played at service clubs around the U.S. and the band also had a weekly radio broadcast. In 1944, Miller received permission to take his 50-piece Army Air Force Band to England where they played over 800 performances that year. Then on December 15, 1944 the band changed forever. 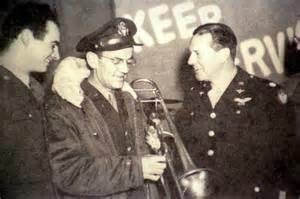 Glenn Miller needed to get to Paris so that he could ready things for a series of performances scheduled in the newly liberated country. Miller boarded an RAF single-engine UC-64 Norseman transport plane with two other military passengers, and the pilot took off from RAF Twinwood Farm Air Base near Bedford, Bedfordshire, England. 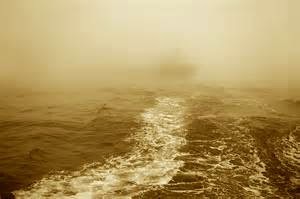 The plane headed out over the English Cannel, but neither the plane, pilot, other two passengers or Miller were ever seen again. Mystery still surrounds what happened that fateful afternoon. 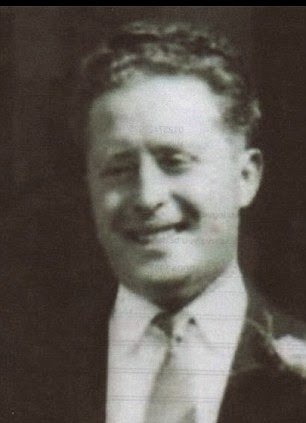 There are conspiracy theories that suggest Miller was working as an American spy for General Eisenhower; that he did arrive in Paris and was murdered by Hitler’s henchmen before his body was dumped in front of a French brothel. Other stories suggest that Miller’s plane was downed by friendly fire and then the incident covered up. 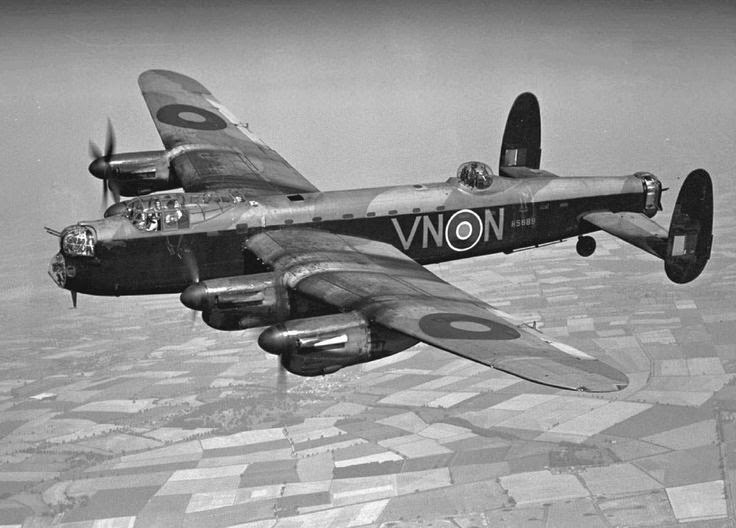 Years later, an RAF Lancaster navigator reported that on that afternoon, his plane had to abort a bombing run over Germany. There was a certain area off the coast that had been declared off-limits to air and water traffic so that aborted missions could release their bombs there. The Lancaster logbook reports crew members saw a small Norseman plane flying below them just as the bomb-bay doors were opened. The crew watched the plane go into a tailspin and disappear. The incident was never reported. In 2012, a spotter’s logbook revealed a different story. Family members of the late Richard Anderton didn’t realize what they had when they took his plane-spotting logbook to the BBC version of Antiques Road Show. Anderton, who was 17-years-old at the time, wrote that he had seen Miller’s plane that December day. If he did, then it proves that the Norseman was miles away from the jettisoned bombs, and instead supports the government’s finding of pilot error or mechanical problems. 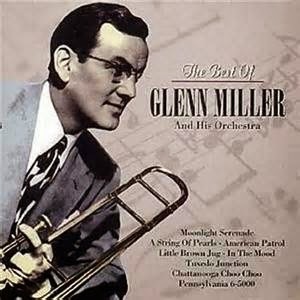 The Glenn Miller Orchestra was revived after the war by many of the original members as a way to honor Glenn. In fact, the Glenn Miller Orchestra is still swinging the Big Band sounds and Miller’s compositions around the world. Although Glenn Miller’s body was never recovered, a memorial tribute to him can be found at Arlington National Cemetery. Another memorial to his memory is located at the Grove Street Cemetery in New Haven, Connecticut.